I have been teaching a Bible study class through Genesis for the last few months. We’re taking it quite slow and have only just finished chapter 2. We spent last Wednesday talking about the creation of woman and examining how the NT interprets this foundational passage in places like Matthew 19, 1 Timothy 2, 1 Corinthians 14, and 1 Corinthians 11. Until this study I had not taken the time to carefully consider 1 Corinthians 11. I had looked at it and glanced at a few commentaries, but nothing serious. However, my most recent study was very beneficial and I’d like to share my findings. Paul is commanding women to wear some type of physical head covering when they are in church as a symbol of man’s authority over them. As Christians, we are bound to obey what Scripture commands and therefore women today must wear physical head coverings in church. Paul is commanding physical head coverings, but only because the 1st century Corinthian culture viewed head coverings as a sign of submission. Our culture does not view head coverings as a sign of submission, therefore women today do not need to wear head coverings. However, the principle of authority and submission is still applicable today. Paul is simply referring to long hair (v15) and he is commanding that women have long hair and men have short hair as the sign of distinction and thus authority. Paul is referring to hair styles. “Uncovered” is the same or similar word used in the Septuagint in Lev 13:45; 10:6; 21:10; Num 6:5; & 5:18. In those instances it refers to unkempt hair hanging down from the head. Therefore Paul is commanding women to do their hair up as a covering and not to leave it hanging down in disorder, and to do so as a symbol of man’s authority over them. I have a lot of respect for those who hold to #1. It certainly is not a popular position and the only reason to hold to it, I think, would be because of a strong commitment to the authority of Scripture. These people recognize that we cannot simply dismiss a passage because it doesn’t seem to make sense in our culture. And they see that rather than dismissing Scripture because it doesn’t fit with our culture, we should change our culture to conform with Scripture. But I’m not convinced that 1 Corinthians 11 teaches us, or the Corinthians, to require women to wear physical head coverings. I’m a little more cautious of #2. This form of interpretation leaves the door open (ie. http://pomomusings.com/2009/01/04/jesus-the-bible-and-homosexuality/ ), though I don’t think wide open. If we fail to apply this passage because it doesn’t fit in our culture, then what else should we ignore? Also, my brother-in-law does a lot of street preaching and he says this passage is one of the most common objections that Muslims use against him. They say that we simply pick and choose what to believe about the Bible. To sum up: the custom recommended here is a head covering of some kind, probably a shawl. The importance of identifying this custom can be exaggerated, unless one believes that the custom of the day should be applied to our culture. The major point of the text is clear: women are to adorn themselves in a certain way. The precise kind of head covering Paul had in mind is no longer clear. What is more important, and we turn to this next, is: Why does Paul want the women to adorn themselves in a certain way? In conclusion, we should affirm the participation of women in prayer and prophecy in the church. Their contribution should not be slighted or ignored. Nevertheless, women should participate in these activities with hearts that are submissive to male leadership, and they should dress so that they retain their femininity. #3 appears to be somewhat common, though it does not appear to have strong support, especially considering v6. If a woman will not cover her head (i.e. have long hair), then she should have short hair. Or put another way: If we read “long hair” instead of “covering” it amounts to this — “if the woman have not long hair, let her also have not long hair,” because shorn simply means to have one’s hair cut close. Furthermore, this would seem to contradict Scripture in regards to the Nazarite vows (Numbers 6). I’m more impressed by #4 for a few reasons. First of all, it seeks to find context first and foremost in Scripture rather than in some extrabiblical historical source. One issue I have with #1/2 is that if this is something commanded by nature, why is this the first time we’re reading about it in Scripture? Where is the OT context requiring women to wear head coverings? My conclusion is that the covering of women is mandatory today. I conclude this because the covering of women was (1) a matter of universal, apostolic practice and (2) was required by the teaching of nature. Why was the headcovering to be worn? Because it is required by Apostolic command and natural revelation. The covering is long hair done up (or styled) in an orderly or tidy fashion. (1) This interpretation gives full weight to v.15 without contradicting verses 4-6. Long hair (kept in an orderly manner) is given in place of covering. Verse 6 then means that if a woman lets her hair down to flow in a wild unkempt fashion, she should have it cut off. (2) It makes sense of the transition from headcoverings to long hair in verses 13-15. This transition indicates that the covering in some sense consisted in long hair. (3) It is consistent with the Old Testament meaning and usage of the words, cover and uncover. In the Old Testament to uncover one’s head was to loose one’s hair or allow one’s hair to flow free with the connotation of disorder and disarray. One may see this by comparing Lev. 13:45 where in the Greek the same word meaning uncover as is used in 1 Cor. 11:5 occurs: “As for the leper who has the infection, his clothes shall be torn, and the hair of his head shall be uncovered, and he shall cover his mustache and cry, ‘Unclean! Unclean!’ Keil and Delitzsch remark on this word that it means that lepers should “leave the hair of their head in disorder”.1 (Note also Lev. 10:6; 21:10; Num. 6:5 where the same Hebrew word as occurs in Lev. 13:45 is used. Note finally Num. 5:18 where the same root word is used in the Greek version as is used in Keil and Delitzsch, Commentary on the Old Testament (Volume 1)-The Pentateuch, (Eerdmans, Grand Rapids, 1975), p.382. 1 Corinthians 11.) This Old Testament background helps us understand v.6. Finally, I can sympathize with #5, but I can’t be satisfied with it. 🙂 Hopefully you can’t either. Some Difficulties (#3) – Doily? (Re: v4) This verse does not say that the man wears a hat or a veil. Nor does it precisely say, “Having something on his head” (NAS). It is definitely something hanging down from his head. This could be a veil or a toga. Plutarch (Moralia 100 F) speaks of a man who “was walking having his garment hanging down from his head,” but whereas Plutarch identifies what was hanging down, Paul does not. Most commentaries assume that a veil is meant, but could it not mean long hair hanging down? … However, first, what were the ancient customs relative to prayer? Chrysostrom mentions pagan prophets who prophesied with hats or coverings on their heads. Whether Jewish men of the first century prayed with their hats on, as they do today, is a different question. Rabbi Jehoshua (c. A.D. 90) says that men usually walked bareheaded in public, while women wore a veil or something because, he says, woman brought sin into the world. Sometimes men too would wear hats, but children hardly ever did. In Babylon, but apparently not in Palestine, a hat on a man indicated that he was married. In Palestine, a man’s bare head signified political freedom from Pharaoh. Other rabbinical hints seem to imply that, therefore, a man should wear a hat to pray, for he was not free from God. Then, there are other indications that men wore hats in winter simply because it was cold and did not wear them in summer. The rabbinical passages on prayer also indicate both customs. Sometimes men prayed with a hat on, sometimes without a hat. Now it is clear that Paul objects to something. Clearly also, he assumes that the Corinthians would instantly recognize that the posture in question was shameful. How can one explain either of these points when many of the Jewish men prayed with their hats on? However, if Paul is not referring to hats, but to long hair, neither of these two points is strange, or at least not so strange. (2) Philo (30 b.c. – a.d. 45) uses the same words Paul does in 1 Corinthians 11:5, “head uncovered” (akatakalypto¯ te¯ kephale¯ ), and it is clear that Philo is speaking of a head covering being removed because the priest had just removed her kerchief (Special Laws, 3:60). Akatakalyptos also means “uncovered” in Philo, Allegorical Interpretation II,29, and in Polybius 15,27.2 (second century b.c.). Moreover, it is simply a negative adjective based on the verb katakalypto¯ , which commonly means “cover, veil.” (3) Esther 6:12 (LXX) employs the same expression found in verse four, kata kephale¯s, of Haman, who hurried home mourning, covering his head in shame. He probably used part of his garment to do this. (4) A similar expression occurs in Plutarch (46-120 a.d.), where it is specifically stated that the head is covered with part of the toga (himation). That’s not exactly a confident argument, to say the least. Note the hesitant phrasing (probably, probable) throughout. We simply are not able to determine from the text what Paul is referring to. Some will say it doesn’t matter, because all Paul requires is a symbol of authority (v10). We will get to that later. Some More Difficulties (#4) – Uncovered Men? First off, is there any context for such a comment from Paul? Were Corinthian men in the habit of wearing their hair in buns? But more importantly, does this fit the OT context Waldron relies upon? In Leviticus 13:45, what would have been the opposite of letting the hair of the head hang down? Would it have been for the man to do his hair up in a bun? Most likely not, but perhaps it simply meant that he should let it grow out and be unkempt, as opposed to cut short. So in Leviticus 13:45, covered would have to mean either done up in a bun or, more likely, covered would mean short hair. Moses prohibited Aaron and his remaining sons from showing any sign of mourning on account of this fatal calamity. “Uncover not your heads,” i.e., do not go about with your hair dishevelled, or flowing free and in disorder (Lev. 13:45). ŠJROˆRApFdoes not signify merely uncovering the head by taking off the head-band (LXX, Vulg., Kimchi, etc. ), or by shaving off the hair (Ges. and others; see on the other hand Knobel on Lev. 21:10), but is to be taken in a similar sense to WŠOJRORˆAViˆRApE, the free growth of the hair, not cut short with scissors (Num. 6: 5; Eze. 44:20). It is derived from ˆRApF, to let loose from anything (Pro. 1:25; 4: 5, etc. ), to let a people loose, equivalent to giving them the reins (Exo. 32:25), and signifies solvere crines, capellos, to leave the hair in disorder, which certainly implies the laying aside of the head-dress in the case of the priest, though without consisting in this alone. (1) Every man who prays or prophesies with a head-dress on (like a priest) dishonors his head. (2) Every man who prays or prophesies with his hair done up/styled dishonors his head. (3) Every man who prays or prophesies with short hair dishonors his head. Certainly (1) is not an option, especially if this is a universally binding command throughout all ages. If we use the OT meaning in this context, then we must be led to conclude that men who pray and prophesy dishonor Christ if they do not have long unkempt hair. This would clearly make little sense of Paul’s argument in v14. First, there is no direct command present in the passage. Paul does not command that women must wear hats in the public gathering of the church for worship. There is an imperatival form of “cover” in verse 6, but it occurs as a conclusion to an illustration Paul uses in the verse. Second, if we assume Paul is commanding the wearing of hats in the public gathering of the church, then women ought to be allowed and even encouraged to engage in the authority functions of the church; i.e. praying and prophesying. It is interesting to note however that many churches who practice the covering as outlined in this passage, do not let the women in said churches pray and prophesy publicly. Third, if we assume that Paul is commanding the wearing of hats, we should limit it as he himself does: only to times when the ladies pray and/or prophesy. Paul does not specify in verse 5 that she must be covered to enter the church building, sing psalms or hymns, participate in the Lord’s Supper or give tithes. If a church forbids women from praying and/or prophesying publicly, then she does not need to wear a hat. Fifth, the text is admittedly difficult in its interpretation. A whole host of good men differ on the interpretation of the text. This fact alone does not favor one particular argument, but it is difficult to ground a practice of the church (almost a sacrament to some) upon a text that has been subject to such varying interpretations throughout the centuries. 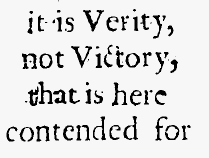 Sixth, the issue of liberty is a strong argument against the idea that hats are in view in the passage. One would expect more liberty in New Covenant ethics, not less. There is no command for women to wear hats, veils etc. in the Old Testament and once again, we must be careful about binding the consciences of Christ’s sheep in an unbiblical manner. the women should keep silent in the churches. For they are not permitted to speak, but should be in submission, as the Law also says. If there is anything they desire to learn, let them ask their husbands at home. For it is shameful for a woman to speak in church. It may seem, however, to be superfluous for Paul to forbid woman to prophesy with her head uncovered, while elsewhere he wholly prohibits women from speaking in the Church. (1 Timothy 2:12). It would not, therefore be allowable for them to prophesy even with a covering upon their head, and hence it follows that it is to no purpose that he argues here as to a covering. They desire to find here the implication that the woman who feels the call may prophesy or preach in public, as long as she does so with her head covered. But when we turn to the fourteenth chapter, verses 34 and 35, we find the same apostle strictly forbidding public preaching in the churches by women, and commanding silence. No honest reader of Scripture can infer that the Apostle meant by inference to allow the very thing, which, in the same epistle and in the same part of it, he expressly prohibits. It is a wicked thing to represent the Apostle Paul as one who contradicts himself. “An easy example [of the fallacy of appealing to selective evidence] is the appeal made by some very conservative Christians to 1 Corinthians 14:33-36 to argue that women should always keep silence in the church. They should not pray out loud, offer testimonies, or speak under any condition. Admittedly those verses by themselves could be taken that way; but such an interpretation brings us into unavoidable conflict with what Paul says three chapters earlier, where he permits women under certain conditions to pray and prophesy in the church (1 Cor. 11:2-15) (p. 99). Carson’s error, of course, is not appealing to selected evidence, but to no evidence at all. Nowhere in chapter 11 does Paul permit or prohibit women speaking in church. Carson does not quote Paul in chapter 11. Nor do any of the other commentators who believe Paul gave permission for women to speak in chapter 11. Let Carson, let Hurley, let anyone who holds that position, quote Paul’s words. The statement that Paul permits women to pray and prophesy in church is simply false. Nor are the words “in the church” in chapter 11. Carson has read them in. Carson not only fails to recognize an ad hominem argument [note this for later -BA] when he reads one, he fails to understand English. I do not know what our seminary faculties teach, but it is not logic. One ought to know logic before writing a book on exegetical fallacies. …It may be replied, that the Apostle, by here condemning the one [prophesying uncovered] does not commend the other. For when he reproves them for prophesying with their head uncovered, he at the same time does not give them permission to prophesy in some other way, but rather delays his condemnation of that vice to another passage, namely in chapter 14. Calvin is correct. Paul simply does not permit women to prophesy in church/public anywhere in 1 Corinthians 11. But yet, if he does not, then it is quite strange and makes for awkward reading. Clearly anyone reading Paul’s words would assume by the way they are written that he does permit a woman to prophesy if covered. So while logically Calvin is correct, it makes for a very unnatural reading of the text. Now, keep in mind we have not yet decided what “covered” means. What if whatever Paul means by “covered,” by definition prohibits women from prophesying? In other words, what if being “covered” made it impossible for a woman to speak in church? No, I’m not talking about a muzzled doily. but every wife who prays or prophesies with her head uncovered dishonors her head – it is the same as if her head were shaven. I believe each instance of head here refers to something different. but every wife who prays or prophesies uncovered dishonors her husband – it is the same as if her hair were shaven. Notice how the diagram demonstrates that the authority over each is a covering over each. Woman is covered by her authority, Man. That is why a wife ought to have authority on her head, because of the angels. But what does Paul mean when he speaks of a woman having authority on her head? English versions often have added a word to the Greek text in order to make the meaning plainer. Thus, the nasb translates verse 10 to say that “the woman ought to have a symbol of authority on her head.” The rsv says that a woman should “have a veil on her head,” and the niv says a woman should have “a sign of authority on her head.” But the Greek text literally says “the woman ought to have authority on her head.” The words symbol (nasb), veil (rsv), and sign (niv) are not in the Greek text. All the text says is that a woman should have authority (exousia) on her head. So then, for woman to be covered is for man to have authority over her in the church. And for woman to pray or prophesy in church (an act of authority) is for woman to no longer be covered by man (i.e. uncovered). I’m not certain what this would mean for v4 but I think it would be something along the lines of referring to a man who has willfully surrendered his authority over to a woman. The methods of Christian apologetics may be divided into two parts, logical and rhetorical. The logical methods are sometimes stated, most often illustrated, by Jesus and Paul (and the other Biblical writers as well), as are the rhetorical methods. The logical methods include deduction in the forms of immediate inference, syllogism, and sorites; apagogic, sometimes called ad hominem, arguments (not to be confused with abusive ad hominem arguments) in which an opponent’s point of view is adopted for the purpose of demonstrating the logical absurdity of his view; dilemmas, and arguments a fortiori. The rhetorical devices include sarcasm, ridicule, kindness, courtesy, paradox, and questions. And he references 1 Cor 15 as a prime example of an ad hominem argument (if…). So when we apply this to 1 Cor 11, we see that Paul is, for the sake of argument, adopting the already accepted view of the Corinthians in regards to hair and gender distinctions. v6 For if a wife will not cover her head, then she should cut her hair short. But since it is disgraceful for a wife to cut off her hair or shave her head, let her cover her head. Note Paul’s sarcasm. He seems to be a big fan of using it. 13 Judge for yourselves: is it proper for a wife to pray to God with her head uncovered? 14 Does not nature itself teach you that if a man wears long hair it is a disgrace for him, 15 but if a woman has long hair, it is her glory? For her hair is given to her for a covering. Judge for yourselves if what I am saying is true. Do you not already acknowledge the distinction between men and women? If you acknowledge a distinction outside of the church, in your everyday life, then you should acknowledge a distinction in the church as well. So in conclusion, Paul is not commanding that women have long hair and men have short hair. He also is not commanding women to wear their hair in a bun or to wear some kind of hat or veil. He is simply commanding all Christians to acknowledge the created order, the intentional differences between men and women, and to conduct themselves accordingly in corporate worship, and he uses some rhetorical flare to drive the point home. I think that makes the most sense of the passage, but I assume I am most likely mistaken because I have not come across any similar interpretation in anything I have read. So if you could be so kind as to point out it’s flaws, I would greatly appreciate it. 1) I lean toward a visible “symbol”, representing the truth expressed in the (proper) diagram you drew. Whatever way deemed best–I’m not totally agnostic, but I don’t think the church should legislate what ought to be enforced by heart-desire to conform to local standards. 3) Therefore, it was even MORE important that the “order” of creation be acknowledged, in such extraordinary situations. 4) The “glory” argument, vv7 & 15. All “glory” in worship needs to be given to God. The woman is the glory of the man, and her hair is her glory. So, a double purpose in covering not only her hair, but Her as well. Let us not offend the angels. Thanks for your thoughts Bruce. What do you believe 14:34 is referring to? Hi Brandon, given what you think it means for a woman to have her head covered, do you think then that a woman shouldn’t pray out from under the authority of a man? do you think then that a woman shouldn’t pray out from under the authority of a man? Do you think a woman should pray with her head covered? Well, the understanding that I’ve laid out is that to be “covered” is a rhetorical way of saying that a woman will not pray and prophesy in corporate worship. So… Is that your question or am I still not getting it? Right so I guess I am hungry for more details on your view. Are you saying that a woman should not pray out loud in church? Yes, I think that would mean in corporate worship it is inappropriate for a woman to lead a prayer. Do you think it is possible for a woman to pray under the authority of a man? Or do you think prayer (and/or prophecy) is always an act of authority? Eg. will you let your wife pray at the dinner table? How about your child? 1 Cor. 11 is not talking about the dinner table or bedtime prayers. It’s talking about corporate, public worship. Corporate prayer led by someone on behalf of the church (which is different than individual, personal prayer) is an act of authority. I see. I guess I was confused when you said “If you acknowledge a distinction outside of the church, in your everyday life, then you should acknowledge a distinction in the church as well.”. Does not a man have authority over his wife and children in the home? Yes, and that may be a fair application of the principle taught here. I don’t believe it would inhibit women from praying with their children, as women are instructed to teach their children, though teaching by women is forbidden in the church. But strictly speaking the passage is giving directions and prohibitions for corporate worship. The quote “If you acknowledge a distinction…” refers to the fact that men and women in every aspect, such as the length of their hair, acknowledge that men and women are in fact different, not the same. So therefore, they should acknowledge that men and women are different when they gather together as a church as well. (1) I think it would be worthwhile pursuing Bruce Winter’s material on this. Winter has probably done the most work on historical backgrounds to the Corinthian correspondance and has written extensively on this issue in particular. (b) the flow of 1 Corinthians. Carson et al are on strong ground to say 1 Cor 11 implies women prophecy. Also Robbins probably works from a definition of church and “worship” which just does not match Paul’s. Thanks for the Winter recommendation Hefin, I appreciate it. As you can see, I really like to dig into arguments as deep as I can, so while I find your comments in (2) to be interesting, at this point they are rather unhelpful. Can you please demonstrate how Calvin and Robbins have misused logic? They have simply used the Reformed principle of the Confessions that states that the more clear passages must interpret the less clear. In 14:34 we given a very clear statement. 14:34 should drive our interpretation of 11 (an obviously unclear passage). Now, Carson claims that we cannot do so because in 11 Paul says that women may pray and prophecy with their head covered. But, as is very clearly stated above, Paul simply never says that. So to reject a clear statement of Paul for a statement Paul never made is poor exegesis. You may believe that Paul probably meant that women could pray and prophesy with their heads covered, but you may not claim that he actually said that, because he didn’t. And you especially may not do so when there is a clear statement from Paul that would explicitly contradict what you think he probably meant. Calvin and Robbins did not misuse logic. Unlike many interpreters, they actually used it. If you believe otherwise, can you please, for my benefit, demonstrate how their logic has been misused? I understand that Paul’s letter may sound awkward as a result, but I believe my interpretation, as demonstrated above, clears that up. I have no idea what that means. Can you please clarify? Brandon I am curious now about what you think of Anna, the prophetess mentioned in Luke 2, as well as Deborah, the judge/prophetess in Judges 4? The account here given of this Anna, who she was. She was, (1.) A prophetess; the Spirit of prophecy now began to revive, which had ceased in Israel above three hundred years. Perhaps no more is meant than that she was one who had understanding in the scriptures above other women, and made it her business to instruct the younger women in the things of God. Thanks, that article is interesting. What do you make of the following quotation from it? That would seem to be an accurate statement of her role. So, when Deborah prophesied, did she uncover her head? That would appear to be the necessary conclusion. It says that she was judging Israel at the time, so we can’t interpret it to mean it was a private matter. So was she unrighteous in her prophesying? I am having trouble understanding – like do you think she is a hero? I haven’t worked out all the consequences of my interpretation of 1 Cor 11 set out here, so I appreciate you helping me do so. I think it’s certainly possible that her prophesying “uncovered” was unrighteous. We see plenty of examples in the narratives of “heroes” who act unrighteously, even in their very act of heroism. Rahab is a “hero” for her faith, even though she sinned in the very act of trying to protect the spies. I think it’s interesting to note that Deborah does not give an original prophecy to Barak. She seems to be simply reminding him of what God had already revealed (perhaps through her or perhaps through someone else) and encouraging him to obey it. When Barak tells her she must go, she tells him there will be no glory for him precisely because a woman will do his job. I really appreciated the work you’ve done on this. It was a springboard for my own efforts to understand this passage. An interesting thing I discovered regarding v.4 and the what it means for men: It turns out that the word ‘covered’ in this passage has a different meaning than the other ‘covers’. In this case it means ‘to be taken from a high position to a low position.’ (Strong’s #G2596) Thus, it fits well with the interpretation that ‘head’ means authority because authority of man can be brought low when woman places herself over him. Interpreting ‘head’ as the physical head no longer makes sense here. Another discovery is that ‘covering’ means something different in v.15 than anywhere else. In reference to women’s hair does it mean ‘veil’ or ‘piece of material’. (Strong’s # G4018) Whereas ‘covered’ anywhere else, apart from the example above, means generally to ‘be placed under.’ This strengthens the argument that a woman’s long hair is all she needs if she placed her authority under man. I’m glad to hear you were edified by my study. Thanks for your comments as well, they are helpful. I would only add a small note that I don’t think Paul is saying women must have long hair (he is simply using unsubmissive women’s own preference for long hair against them). Please pass the link on as I’m eager to get more feedback/criticism. While I basically agree with your uncommon interpretation of this passage, one interesting thing we can pull out of v.14 is this: these nonsensical drawings of Jesus with long hair probably are far from historically accurate…! Dave, do you let your wife pray out loud in front of you in your household?